According to a recent report by Ventana Research, 41% of businesses attach great importance to geolocation in their organisation and processes. Against this background, intelligent mapping of commercial and operational data provides a strategic benefit that’s not to be sniffed at. 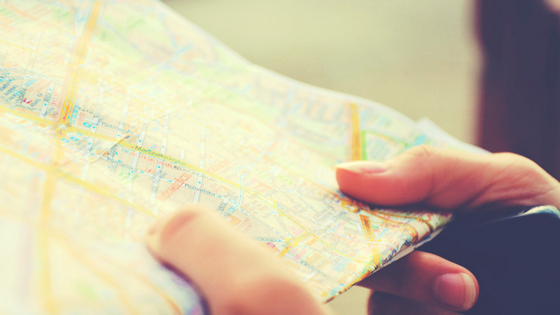 More and more companies are opting for location intelligence. Here are four great reasons to follow their example. Most large companies have already implemented business intelligence solutions. However, the data is often under‑used because of its complexity. Mapping this information makes it easier for the user to analyse and mobilise. By leveraging Big Data, a huge amount of data can be merged, highlighting hidden trends and interactions. Spatial analysis sometimes reveals the correlation between customer satisfaction and the area served, as well as the cover received. Maps and spatial analysis offer an innovative alternative to using Excel spreadsheets and other graphs to cross‑reference a company’s key data. In addition to streamlining the display of information, it makes location a decisive factor. For example, geospatial decision‑making intelligence helps to determine the best places to set up new branches, while factoring in environmental risks. But, thanks to the increase in dynamic data in space, it also makes areas with greater potential for growth easier to identify. As research and advisory company Gartner points out, linking location with company information strengthens the company’s planning capabilities and brings real business advantages to the fore. Direct marketing, demand generation, search engine optimisation and advertising activities work so much better when they know the location of their clientele. In retail, for example, geospatial decision‑making intelligence is used to target campaigns and users geographically according to their demographic characteristics, accessibility to stores and the geographic location of competitors. Geospatial decision‑making intelligence also has its advantages when it comes to operations. 34% of organisations state that they have significantly improved their business processes by using location analytics (Ventana Research). For example, it is possible to optimise the work of sales forces by using location intelligence with tools for territory management and trip planning.